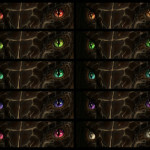 A selection of new eye textures for all vanilla races. 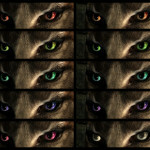 Made with Chakaru11. 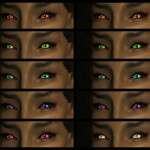 chakaru11 originally made the eye texture for her gorgeous girl C in Oblivion, and I loved them so much that I tinkered with them, recoloured them, then ported them to Skyrim, and chakaru11 has graciously given me permission to upload and share her work with you all. 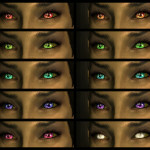 Every race has twenty new eye colours. 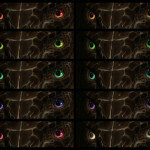 The Argonians and Khajiit have two different pupil styles, totaling forty new textures for each race. 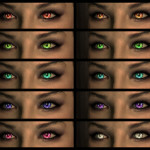 If you’re using a custom race that utilises the vanilla headparts (for instance, the Ashen), these eyes will be available to that race as well. Extract the archive into your Data folder, then activate the .esp in the Launcher. It’s pretty self-explanatory.